Wedding Photography at OH ME, OH MY, Liverpool. Oh Me Oh My…A great little place for the most intimate of weddings. During the week they host Grand Tea House drinking and host special events and parties at weekends only. Located in the heart of Liverpool, opposite the famous Liver Buildings, this historic venue was once the former bank of West Africa. 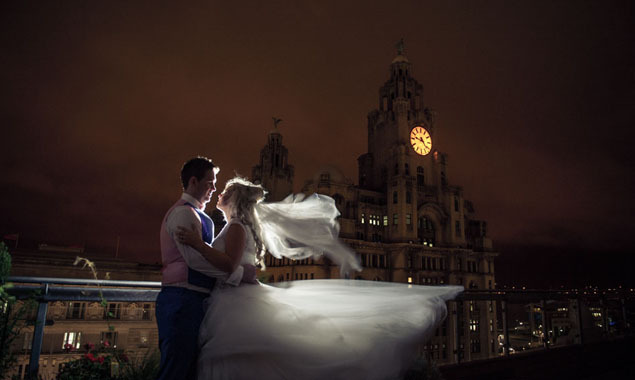 This is one of Liverpool’s ‘secret places’ with the most beautiful and amazing views from the rooftop – perfect photo opportunities for every wedding couple. This venue is unique and a joy to get the shots of a wedding couple that they deserve. I’ve shot wedding here a few time over the years now and it but far a favourite, and one of the best wedding venue in Liverpool with outstanding food. Here’s a few favourite wedding photographs from recent weddings at Oh Me Oh My.